Who knew you could make a connection between bees and the Kingdom of God? M. J. Miller demonstrates to the reader that God does reveal Himself in nature. Clever illustrations and humor add richness and fun to this inspirational and insightful read. Chapter 9 - Did Someone Call for a Nurse? I gave you milk, not solid food, for you were not yet ready for it. Indeed, you are still not ready (1 Corinthians 3:2). I never liked math in school. I barely made it through the minimum requirements, and I’ve long since forgotten almost every formula I ever memorized. Heck, if I add or subtract anything over ten I have to take off my shoes so I can use my toes! So you can imagine my apprehension when I found out that understanding the numbers is an important part of beekeeping. The queen is the royal mother of every bee in the hive and in the spring and summer, a good queen will lay an average of one egg every 30 to 60 seconds. That’s about 1,500 eggs a day. (And you thought you had a houseful of kids!) This monarch is an extraordinary egg-laying machine, but she’s a terrible mother. Her sole job in the hive is to make sons and daughters. She walks across the comb inspecting cells to make sure they’re clean and polished, and when one meets her approval, she lays an egg in it and then moves on, leaving those baby bees to be cared for by others. For those of you who like numbers, here we go. It’s estimated that 110,000 feeding visits are made to a single bee during the nine days it’s in the egg and larval stage. That means each egg and baby bee is fed over 12,000 times a day. Multiply that by the 1,500 eggs the queen lays in one day and that comes to 18,000,000 feedings a day! Let me write it out — eighteen MILLION. That’s a lot of formula! Plus, (notice my mathematics term) every 24 hours another 1,500 eggs are added to the baby bee basket, increasing the feedings by another 18 million daily, and so on. Multiply that by the nine-day cycle, and it equals 162 million feedings. Obviously, the phrase “Busy as a bee!” is an understatement! Caring for all those young bees is an enormous investment of time and resources from the hive. 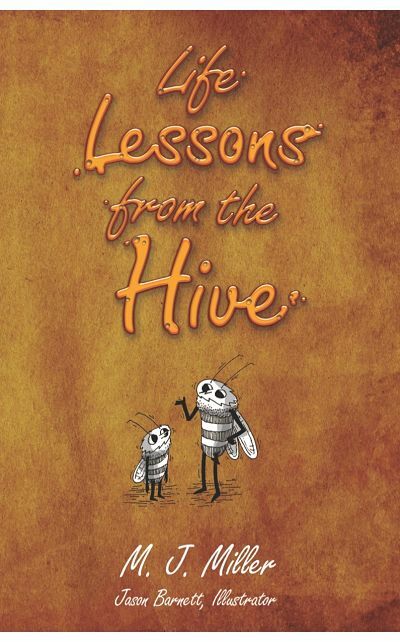 As a matter of fact, from the bees’ perspective, that’s the whole purpose: raising bees. Those baby bees, who consume half their body weight a day, are carefully looked after by young Nurse Bees who, only a few days ago, were baby larvae themselves. These little insects will do everything they can to care for and protect their young. They know that newly born sons and daughters can’t be left on their own. They need nurturing. The Kingdom of God should be growing in the same way. God calls us sons and daughters — spiritual sons and daughters. When we become Christ-followers, we don’t join a club; we’re born into a family. The family design was so strong in the heart of God, He used it as a template throughout all of creation — beginning with Adam and extending even down to the honey bee. God loves the family. That’s why the devil wants to destroy it. Our enemy knows that family is one of the most powerful influences in our lives. As children we all want someone to be proud of us. As adults, we recognize how fragile little hearts can be. As a body of believers, we don’t need more programs, we need more parents. We can’t be satisfied with only salvations, and we can’t leave the job of parenting to the person behind the pulpit. We all need faith-filled mothers and fathers — pastors, leaders, and spiritually mature friends — who feed us, teach us and mentor us as we navigate around the potholes of life. Have you ever eaten great barbecue cooked in a microwave? Probably not. Master grillers know “slow” is the key to a tender brisket or melt-in-your-mouth ribs. They smoke their meat at low temperatures for hours or even days so it’s fork-tender and juicy. Good investments have the long view in mind. Good mentors do, too. Our world is filled with hurting and broken people who are looking for real answers; not whimsical distractions, express discipleship or plastic piety. We need honest relationships with people who care enough to speak truth; not 500 Facebook friends who give a thumbs up to our random musings or photos of our exquisite dinner (which probably was not cooked in a microwave). Just as bees are intentional about caring for their young, the church also needs to be intentional about raising strong Christ-followers. There’s much more to this Kingdom life than salvation. Both Paul and the writer of Hebrews addressed this problem in the church centuries ago, and it’s still an issue today. There will always be new believers who need milk; but there are many more of us mature believers who haven’t yet modified our diet from milk to solid food. So go ahead and drink those 18 million glasses of milk if you need to. But when you’re finished, put on your nursing hat, and start pouring for someone else. Are you investing in others? If not, how can you begin?